In the U.K., as in the U.S., budget cuts have targeted libraries, resulting in closings and reductions in library services. Some book nerds have refused to take this lying down, however. Now British librarians have sued the government over library closings. 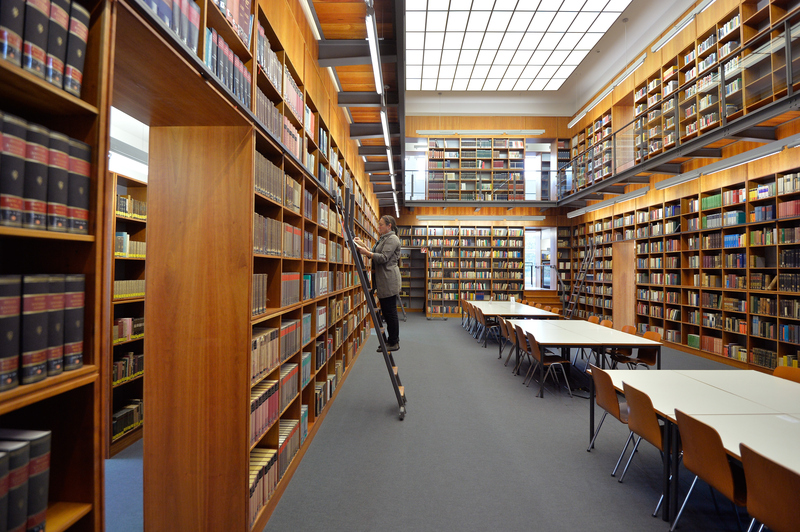 The Chartered Institute of Library and Information Professionals (CILIP) cites the 1964 Public Libraries and Museums Act, which declares that "[l]ocal authorities have a statutory duty to provide ‘comprehensive and efficient’ library services," and that "[t]he Department for Culture, Media and Sport [(DCMS)] has a legal duty for the stewardship and improvement of public libraries in England." CILIP says that, by allowing libraries to become the target of budget cuts, the DCMS has not carried out its duty to provide the public with great library services. More than 100 U.K. libraries closed in the last year. Rob Whiteman, the Chief Executive for the Chartered Institute of Public Finance and Accountancy (CIPFA), attributed the closings to "[c]ost-cutting measures" and reduced library traffic. CIPFA was unable to determine whether the drop in traffic was due to reduction of library services, or to the popularity of e-books. Access to e-books in the U.K. is complicated by certain regional differences in OverDrive and similar apps. A spokesperson for the DCMS told the BBC that the changing nature of public libraries and library services prompted "the government [to] set up the Libraries Task Force to help them improve things like digital access and e-lending." That's not enough for CILIP, however. The My Library By Right Campaign calls for "[p]ublic libraries to be treated as the statutory services they are" by all levels of the U.K. government. That means petitioning politicians to raise awareness of the Public Libraries and Museums Act, along with other pieces of relevant legislation. Supporters can sign the My Library By Right Change.org petition and download posters and other images to share on social media.